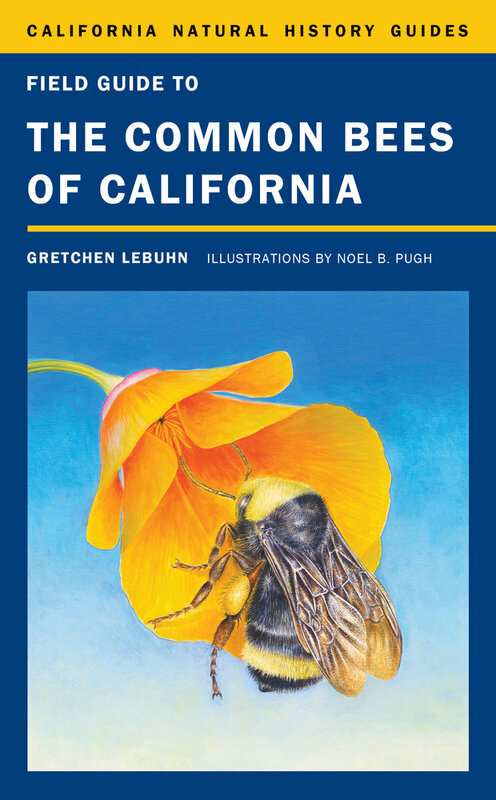 This engaging and easy-to-use natural history guidebook provides a thorough overview of native and honey bee biology and offers tools for identifying the most common bees of California and the Western United States. Full-color illustrations introduce readers to more than 30 genera of native bees, noting each one's needs and habits and placing them in their wider context. The author highlights bees’ ties to our own lives, the food we eat, and the habitat we provide, and suggests ways to support bees in our own backyards. In addition to helping readers understand and distinguish among major groups of bees, this guide reveals how bees are an essential part of healthy ecosystem and how many plants, including important crop plants, depend on the pollination they provide. As growing evidence points to declining bee populations, this book offers critical information about the bond between plants and pollinators, and between humans and nature. Thoroughly researched and full of new insights into the ancient process of pollination, Field Guide to the Common Bees of California; Including Bees of the Western United States is invaluable for the window it opens onto the biodiversity, adaptive range, and complexity of invertebrate communities. Gretchen LeBuhn is Professor of Biology at San Francisco State University and the Director of the Great Sunflower Project, a national citizen science program designed to gather information about bee diversity and activity and pollinators more generally. Noel Pugh is a scientific illustrator.